on American Express® Business Gold Card's secure website. The American Express® Business Gold Card is an excellent option for business owners who are looking to earn travel rewards up to 4x points on two select spending categories and 1x points on all other purchases. This American Express business credit card has a $295 annual fee and APR between 16.49% – 24.49%. In comparison, some of the best small business credit cards offer up 5x rewards, introductory rewards up to 80,000 points, and introductory 0% APR period of nine months or more. This American Express business credit card offers bonus rewards similar to the best cards, but lacks a substantial introductory offer and has a high annual fee. Even so, we rate this card 4 out of 5 stars because of its robust additional features and lucrative ongoing rewards. The American Express® Business Gold Card is a strong travel rewards card, as it offers 4x points rewards, an airline bonus of 25% points back when you book travel through American Express, and extremely robust account management tools. The one downside is its annual fee of $295, although this can be offset by the value of the rewards and additional features. Ongoing rewards: The points you’ll earn by using the American Express® Business Gold Card. This card earns 4x points in the two categories in which you spend the most, plus 1x points on other purchases. Introductory rewards: The points you’ll earn by reaching minimum spending requirements over the first few months of card ownership. The American Express® Business Gold Card offers 35,000 Membership Rewards® points after you spend $5,000 within the first three months. Annual fee: How much you’ll pay each year to own the card. The American Express® Business Gold Card charges $295 annually. Additional benefits: Whether the card comes with free perks that may increase its value. This American Express business credit card offers valuable perks like purchase and return protection, premium roadside assistance, and extended warranty protection. Intro APR: Whether the card offers a period of no-interest financing on purchases or balance transfers. The American Express® Business Gold Card does not offer an introductory 0% APR. Ongoing APR: How much it will cost to finance purchases on the card. This card charges an ongoing APR between 16.49% and 24.49%, based on your creditworthiness and other factors. The American Express® Business Gold Card is among one of the most popular credit cards for small business owners provided by American Express. Although it doesn’t provide the highest rewards possible, it does rank very well in this category compared to the American Express Business Platinum Card® (5x points travel). When grading a points rewards business credit card like the American Express® Business Gold Card, we weight ongoing and introductory rewards heaviest. We also take into account the annual fee, introductory and ongoing APRs, and card benefits. Unlike other small business credit cards, this American Express business credit card doesn’t offer a 0% APR introductory period. Based on our 5-star rating system, where 20 points equals one star, the American Express® Business Gold Card could have scored 4.5 stars if it offered an introductory 0% APR period on purchases and balance transfers. In cases where cards receive perfect scores in most categories, we may award bonus points to boost the card’s rating. Despite the card’s excellent ongoing rewards, our grade of 4 stars is appropriate because the American Express® Business Gold Card’s introductory rewards and no-interest period fall short of some of the best small business credit cards. Conversely, the Chase Ink Preferred℠ offers 80,000 points when you spend $5,000 within three months. The American Express® Business Gold Card is best for business owners who use their business credit card for their everyday expenses and want to earn travel rewards on those purchases. Perks like booking a flight using Pay with Points and getting 25% points back makes it a valuable card option for businesses that have frequent travel expenses. The American Express® Business Gold Card doesn’t offer an introductory 0% APR and carries an expected APR between 16.49% and 24.49%. For a travel points reward credit card, this is a common structure. In addition to its ongoing APR, the American Express® Business Gold Card also comes with an annual fee of $295. The annual fee of this card is generally higher than the average for a business points reward credit card. For example, the Chase Ink Business Preferred℠ only has an annual fee of $95, and it’s waived over the first year. However, a higher annual fee generally indicates a better rewards program for cardholders to benefit from. For example, the American Express® Business Gold Card offers one more point per dollar compared to the Chase Ink Business Preferred℠. To avoid interest with the American Express® Business Gold Card, you’ll need to pay your entire balance by the due date each month. Your due date is at least 25 days after the close of each billing period (when you receive your bill). In comparison, most business credit cards require you to pay your entire balance within 30 days of your due date. The American Express® Business Gold Card offers a points rewards program based on two categories where your business spends its most money in a billing cycle. You can earn points on purchases related to gas stations, restaurants, shipping, airfare, and more. Although it doesn’t offer introductory points rewards, you will have access to free G Suite and ZipRecruiter subscriptions. One year free of G Suite Basic: Receive a statement credit for a one-year subscription to G Suite Basic for three users. This allows business owners to create company specific emails, which can help improve internal business communication. Up to one year free of ZipRecruiter Standard: Receive a statement credit for a free, one-year subscription to ZipRecruiter Standard. ZipRecruiter can help business owners get more eyes on their open job positions. The G Suite Basic and ZipRecruiter Standard exclusive memberships have a combined value of up to $3,200. Although these may not seem like the best introductory rewards for your business, there are several companies that will find these subscriptions to be very lucrative. These introductory rewards are a unique American Express offering compared to other small business credit cards. For example, the Chase Ink Business Preferred℠ is a travel rewards card that only offers up to 80,000 introductory points. The 4x points rewards applies to the first $150,000 in combined purchases from the two categories where you spend the most. In comparison, the Chase Ink Business Preferred℠ offers 3x points rewards spent in combined purchases each account anniversary year spent in these categories: travel, shipping, advertising on search engines and social media sites, and on internet, cable, and phone services. American Express will reward you for purchases in the following categories: advertising in select media, technology providers of computer hardware, software, and cloud solutions, gas stations, restaurants, and shipping. Even more, your reward points never expire, and there are no limits to how many you can earn. Rewards restrictions here are common across small business credit cards. For your charges: Use your points for your eligible charge on your current statement. You must have at least 1,000 available points in your account. Travel: Use points to book travel on American Express Travel, for which you will get 25% of your points back. Minimum redemption is 5,000 points. Gift cards: Purchase American Express gift cards through www.amexgiftcard.com. Amazon.com: To use points at Amazon, you must first load your card into your Amazon account and use your card at least once. Ticketmaster: You can redeem your points on Ticketmaster to purchase event tickets. The minimum redemption is 2,000 points. AXS: You can redeem your points on AXS to purchase event tickets. The minimum redemption is 2,000 points. Taxi fares: Redeem your points for fares (including tips) on certain taxis in New York City. Most often, cardholders typically use their points to book their airfare and travel because they receive 25% of their points back. American Express also gives you the option to use points for your statement charges if you’re a basic consumer or business card member, no linked card account is overdue, and you have at least 1,000 points available. In comparison, with the Chase Ink Business Preferred℠, you can redeem your rewards for travel, cash back, or gift cards. Much like the other most popular American Express business credit cards, the American Express® Business Gold Card has several free or inexpensive perks and benefits. These features include roadside assistance, purchase and return protection, extended warranty, and travel-related insurance packages. Compared to other small business credit cards, American Express is known to offer the best coverages to protect your business and its employees. American Express® Business Gold Card users can receive premium roadside assistance at no additional cost up to four time per year. Roadside services include towing, winching, jump starts, tire changes, gas needs, and if you locked yourself out of your car. If a card member is using this feature, they must be present with the eligible vehicle. This feature that American Express offers doesn’t cover some vehicles, such as rental vehicles, taxis, unlicensed vehicles, and tractors and trucks that weigh over 10,000 pounds. Card members will be charged for the costs of towing over 10 miles and any other additional roadside services. If you want a card that provides these services at no additional cost, consider the American Express Business Platinum Card®. American Express protects your purchased items that are damaged or stolen and will reimburse you for the amount charged to your eligible card. The purchase protection coverage is limited up to $1,000 per claim and can’t exceed $50,000 per card member, per year. The American Express® Business Gold Card covers your new purchases for 120 days against damage or theft. In comparison to this, Chase Ink Business Preferred℠ ranks a bit higher, offering the same 120-day coverage, but up to $10,000 per claim. American Express return protection can refund you for eligible purchases on your American Express® Business Gold Card within 90 days from purchase. The return protection is limited to $300 per item and up to $1,000 per card member account per year. Items are only eligible if they are in the original condition and if they can’t be returned to the merchant who originally sold them. 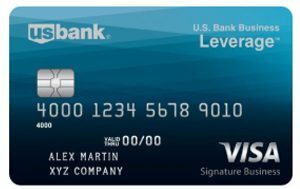 American Express ranks well in this category compared to the U.S. Bank Business Leverage™ Visa Signature Card® and Chase Ink Business Preferred℠. Neither of these cards has return protection and instead only offer purchase protection. American Express will extend the terms of the original manufacturer’s warranty if it’s five years or less. They will match the original warranty if it’s less than two years and they will provide two additional years if it’s between two and five years. For example, an item with a three-year warranty would be backed for an additional two years. The extended warranty protection is limited to $10,000 per occurrence and can’t exceed $50,000 per card member account per year. This warranty program is stronger than other rewards cards. For comparison, the U.S. Bank Business Leverage™ Visa Signature Card® only extends warranties up to an additional 12 months. American Express will provide accident coverage up to $100,000 when the entire travel fare has been charged to your American Express® Business Gold Card. These instances include if you die or lose a limb, sight, speech, or hearing in regard to any travel fares that were paid for entirely on your member account. American Express travel accident insurance falls short of U.S. Bank. With the U.S. Bank Business Leverage™ Visa Signature Card®, you have $500,000 of coverage if you die or lose a limb, sight, speech, or hearing in a plane, train, ferry, or cruise ship accident. American Express provides a baggage insurance plan of up to $1,250 for the replacement cost of baggage while in direct transit from a terminal or for a carry-on item. They will also cover up to $500 for each covered person’s checked baggage. The extra benefit of the American Express baggage insurance plan is they will cover up to $500 for high-risk items. High-risk items include jewelry, sporting equipment, photographic equipment, electronic equipment, items consisting of gold, silver, or platinum, and articles made of fur. If you need a card with more coverage, a good option would be the American Express Business Platinum Card®. This card offers baggage insurance coverage between $1,000 and $3,000. American Express provides car rental loss and damage insurance for the first 30 days of a vehicle rental and when rented from a car rental company. The insurance plan covers up to $50,000 per rental agreement. American Express offers primary coverage, meaning you don’t have to file a claim with your personal insurance company. In comparison, the U.S. Bank Business Leverage™ Visa Signature Card® requires that you file with your insurance company, making their process a bit more difficult. The American Express® Business Gold Card also comes with a handful of account management tools that can help you optimize your business’ spending, including Spend Manager and Connect to QuickBooks. These tools can help account holders manage their account, control employee spending, pay their bills, allow employees to upload photos of their receipts for expense reporting, and transfer your transaction data to QuickBooks. Spend Manager: This American Express product allows account holders to manage their employee spending, view employee transactions, set spending limits, and flag unusual charges. Spend Manager mobile app: The mobile app makes it easy for account holders to manager their employee cards on the fly from their phone. It’s also a great way for all cardholders, including employees, to take photos of receipts and upload them to the account. Connect to QuickBooks: You must enroll for Connect to QuickBooks through your American Express account. Connect to QuickBooks works with QuickBooks Online, and is a tool that automatically transfers your transactions to your QuickBooks account. Most small business credit cards offer account management tools that help you control employee spending and expenses. However, this card offers more robust account management tools compared to cards like Chase Ink Business Preferred℠. For instance, Chase doesn’t have an option to connect your account with a leading accounting software. When you open an American Express® Business Gold Card, it will cost $50 for your first employee card, and you can request up to 99 cards. Any additional employee cards beyond your first employee won’t carry a fee. In comparison, you can request up to 10 employee cards when you apply for a U.S. Bank Business Leverage™ Visa Signature Card® at no additional cost. Although there is a subscription-based introductory offer, the American Express® Business Gold Card doesn’t offer any introductory travel points rewards. 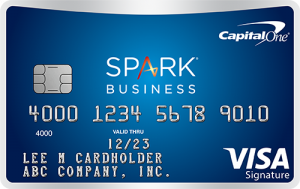 Other cards have valuable introductory offers, like the Capital One® Spark® Miles for Business card, which gives you 50,000 additional miles when you spend $4,500 in the first three months. These miles can be redeemed to cover $500 in travel expenses through Capital One. Near the end of 2018, American Express revamped the American Express® Business Gold Card, and those changes are still relatively new to the market. With that being said, there aren’t a ton of reviews from cardholders online. However, the few that do exist suggest the reviews are both positive and negative. Some users think the annual fee is far too high, while others think that the airline bonus makes the $295 annual fee worth it. You can apply for the American Express® Business Gold Card online through the American Express website. They will require you to fill out a basic application containing your business and personal information. The approval process is generally instant. Once you’re approved, you will receive your credit card in the mail within seven to 10 days. If you’re not approved right away, check your application status with American Express online. Log in to your American Express® Business Gold Card account online by providing your user ID and password. You can also contact customer service for American Express business cards through the American Express website or call 800-492-3344. American Express offers a number of small business credit cards designed for different kinds of spending needs, including travel rewards cards and cash-back cards. They have various introductory offers and annual fees, which are sometimes waived over the first year. American Express Business Platinum Card®: This card is best for business owners who travel a lot and want to receive the full value of the additional travel perks. Cardholders will also earn 5x points rewards. The Plum Card® from American Express: This card is best for businesses that are looking for a solid charge card option. Cardholders can tap into early pay discounts or 60-day, no-interest terms. American Express Blue Business℠ Plus Credit Card: This card is best for business owners who want to earn rewards on everyday business-related purchases. You can also receive American Express additional travel perks. American Express SimplyCash® Plus Business Credit Card: A great card option for businesses that want to choose from eight spending categories from which to earn rewards. Cardholders can earn cash back in the form of a statement credit. Hilton Honors American Express Business Credit Card: An excellent card option for business owners who book all of their hotel nights with Hilton hotels and resorts. Cardholders can receive a complimentary Hilton Honors membership status and access a number of additional card benefits. 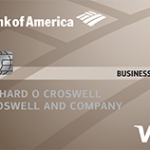 American Express Marriott Bonvoy Business™ Credit Card: This American Express business credit card is best for business owners who primarily stay with Marriott Bonvoy hotels. Cardholders can get a complimentary membership status and earn points for Marriott Bonvoy-related purchases. American Express Delta Reserve® for Business Credit Card: Best for business owners who book all of their flights through Delta Airlines. You can earn Delta SkyMiles and will earn complimentary access to Delta Sky Clubs. American Express Platinum Delta SkyMiles® Business Credit Card: Another excellent card option for businesses that only fly with Delta Airlines. Cardholders have access to both American Express and Delta additional benefits. 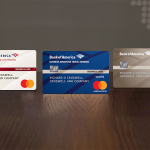 American Express Gold Delta SkyMiles® Business Credit Card: The most inexpensive Delta business credit card offered by American Express. This card is best for businesses that only fly with Delta Airlines. Amazon Business Prime American Express Card: Best for business owners who already have Amazon Prime memberships. Cardholders can earn points rewards for their purchases at Amazon-owned companies. Amazon Business American Express Card: Best for business owners who do not have Amazon Prime memberships. Cardholders can earn points rewards for their purchases at Amazon-owned companies. American Express Business Green Rewards Card: Best for businesses that on average have low annual spend amounts. You can earn points rewards for purchases related to American Express travel. American Express Lowe’s Business Credit Card: An excellent card for businesses that primarily shop at Lowe’s hardware stores. You can earn rewards for Lowe’s-related purchases and in-store discounts. Some small business credit cards may offer bonus category rewards better suited to your business. If your business has more predictable spending needs across one or more spending categories, you may want to consider a different rewards credit card.